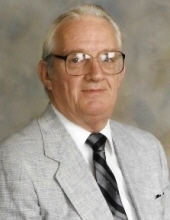 James Harold Shockey age 89 of Lexington, Kentucky passed away Tuesday, January 15, 2019 at his home in Lexington, Kentucky. He was a Medical Office Manager and a member of the First Presbyterian Church of Pikeville since 1956 where he served as an Elder and Trustee. He served on the Pikeville City School Board as a member and was serving when the new school was built. He was a veteran of the United States Navy. Harold was born at Jackson, Kentucky on December 28, 1929 the son of the late James Arch and Margaret Rose Shockey. Along with his parents, he was preceded in death by one son, Paul Scott Shockey in February 1984 and also by one brother, Charles Arch Shockey. He is survived by his wife, Jean Keesee Shockey and one son, Dr. James Steven (Maria) Shockey of Lexington, Ky. He is also survived by three grandchildren, James Tyler (Holly) Shockey, Evin Renee Shockey and Eric Alan Shockey and one great-grandchild, Sutton Claire Shockey. To send flowers or a remembrance gift to the family of James Harold Shockey, please visit our Tribute Store. With Dr. James Browning officiating. Serving as Pallbearers will be Tyler Shockey, Eric Shockey, Christa Mueller, Wayne Rice, Neal Donhoff and Derek Straney. Serving as Honorary Pallbearers will be Bill Baird, John Baird, Charles Baird, Joe Friend, Jim England, Bill Gibson, Charles Huffman, Chuck Huffman, David Stubblefield. "Email Address" would like to share the life celebration of James Harold Shockey. Click on the "link" to go to share a favorite memory or leave a condolence message for the family.